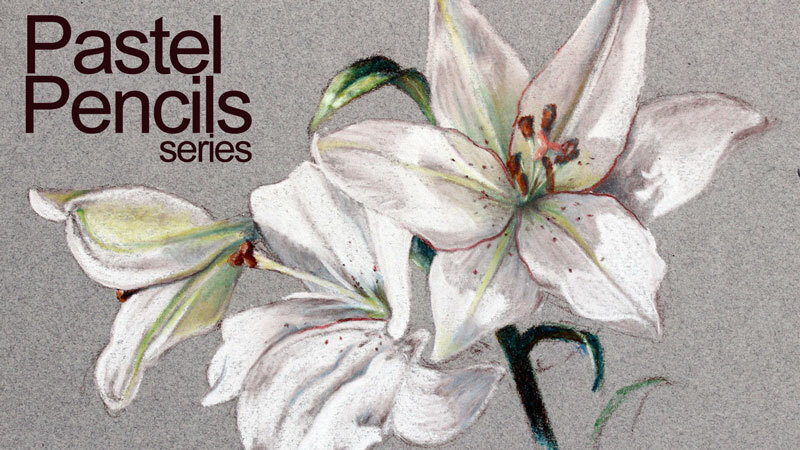 A two-part series on drawing with pastel pencils. Colors are layered and values are developed as the drawing comes to life in the process. Natural greens are mixed and subtle touches of red are added to accentuate a subtle complementary color scheme. Learn how create natural shadows without the use of black and add details to complete the image. I am back, but at the beginning. The flowers are oriental lilies.